Earn Cashback on all your baby showers, wedding lunches and group gatherings. Get food delivered straight to you - the perfect late-night/ wet-weather plan and cake delivery. Book a table and earn Cashback when you attend the reservation. Shop for groceries while on the go. Foodies and big deal hunters, look here! Enticing food deals and big game discounts all year round, we wouldn’t blink twice. Whether it’s an awaited bus trip, a mere 15 minutes walk, or both. No one should have to break a sweat for a bite of food, especially with the vast food delivery options that are made available to us. Convenience and affordability would rarely ever coexist in the reality we live in but with ShopBack, It’s never too good to be true. With an endgame to help YOU shop and spend the smarter way, ShopBack is the missing piece you’ve been looking for to turn your shopping experience around - starting with the greatest discounts and Cashbacks. With the plethora of coupon codes and online restaurant promotions at one’s finger’s tips, food delivery has become increasingly popular. Why travel half a country away to get a whiff of the best chicken rice in Singapore, when you can ease in at the comfort of your home while the food gets delivered to you? What’s more - all at a discounted price point and an opportunity for upsized Cashback! Soooo, where are these BIG discounts and food promotions that you speak of? With ShopBack, you are guaranteed Cashback on your purchases on top of an abundance of discounts and promo codes across all categories of shopping! You are literally getting paid to shop with us. Choose from a running list of food delivery merchants for services like grocery shopping to a piping hot meal delivered right to your doorstep. The number one source to all your couponing needs, transform your dining expenditure with ShopBack today with the endless discounts! Get Cashback with your food delivery purchases, through either a flat amount, or a percentage of your purchases! Stay tuned to ShopBack’s main page for a shot at UPSIZED Cashbacks on sale seasons such as Singles Day, Black Friday and more! Think that’s all to it? If you’re in for a night out, fret not - make your restaurant reservations through one of ShopBack’s merchants today and get Cashback for it! Covering all of your dining experiences, you do not want to miss out your shot at earning on the fly as you eat on a dime. Simply apply your food delivery promo code at checkout after clicking through ShopBack for a seamless discount stacked shopping experience. Why eat out when a vast variety of food options could be delivered right to your doorstep? The inception of fast food delivery has given food delivery a fallacious name; it’s narrow food options, generally unhealthy nature of fast food and costly delivery fees. Well that’s the price we had to pay for a takeout delivered to your home. Through the works of hundreds of food joints, restaurants and cafes that the food delivery merchants have partnered with, even healthy food delivery has become possible. Food dishes made from scratch, as they would in a conventional restaurant, are made readily available, all within a few touches through your smartphone. With the use of food delivery promo codes, even the likes of a korean food delivery is made affordable and most importantly accessible. Variety is indeed a game changer like no other when it comes to food delivery; you could be sporting a spread of international cuisines at your next dinner party, including dishes from the indian food delivery place that has opened up. Long gone the days where you’d have to travel halfway across the country to eat at the hottest pig-out spot in town, accessibility to cuisines is now within grasp more than ever! Variety seems to be the talk of the town with the diversified courier and food options on ShopBack, coupled with year-round food delivery promotions and food deals, food delivery has transformed into an affordable commodity. Food vouchers and discounted restaurant-quality food, the new benchmark of food delivery in Singapore. There’s little to no reason why one wouldn’t consider taking out from their favourite restaurants (well apart from the ambiance and fresh out of the kitchen quality) when food of equal quality is offered at a discounted rate. Coupled with Cashback opportunities every purchase, your savings just keeps on getting bigger! Foodies keep your eyes peeled because your favourite eatery might just be available on a food promo exclusive in time to come! 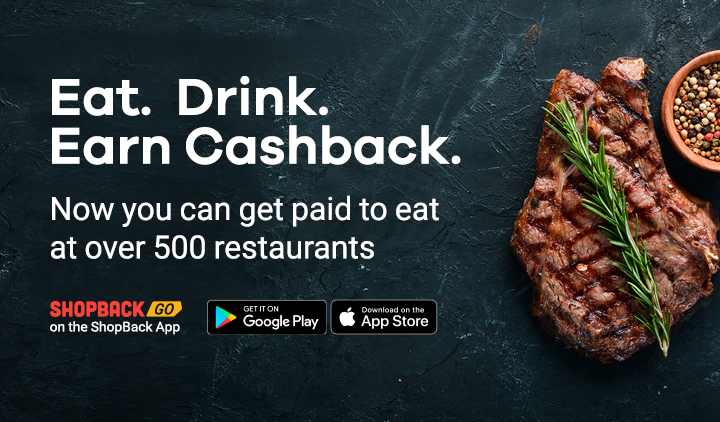 Order food online and get rewarded with Cashback! Feeling peckish after a Netflix party at home? 24 hour food delivery is also a crowd favourite amongst night owls - Household fast food joints to gourmet food establishments, explore your options on the different platforms across ShopBack for the best bang for your buck deal, your one-stop portal for the most enticing food promotion in Singapore. The food of the New World - you can now get food delivery across different platforms too! 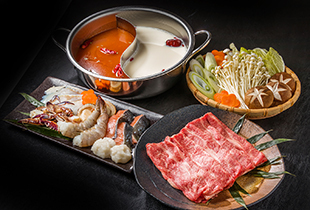 An uprising food of interest that hasn’t gone unnoticed to the food delivery scene in Singapore, an unending indulgence in the best cuisines Singapore has to offer! No but really, GROCERY SHOPPING? Who has time for that anymore? The online food industry has evolved beyond just having cooked food on the go, but consumers have also longed for the convenience of accessing fresh food right from their homes. The hassle-free shopping for groceries is simply too enticing. Gain access to the same, if not greater variety of products on RedMart, all through the ease of an online catalogue! International, local and RedMart labelled brands of products offered at guaranteed competitive price points, grocery shopping can’t get any better than this! With RedMart’s very own warehouse, rest assured that your fresh produces are kept in a hygienic and well-kept storage facility. RedMart also boasts of its self-owned fleet of delivery vans, ensuring the quality of goods and making sure they’re delivered as promised. No matter which corner of Singapore you’re tucked at, RedMart is always within reach of you. With an island wide delivery system and the choice to schedule your delivery, you could be receiving fresh produce as late as 10pm at night! A dinner party gone wrong? RedMart could just be the saviour you need to salvage everything! Well at least the food aspect of it. A seamless process from the moment you land on RedMart’s merchant site to receiving your groceries, all within a few clicks! Shop from over 30,000 deals happening all day at RedMart now! Click through ShopBack to explore the multitude of food coupon options, the A-Z for all your couponing needs for food delivery Singapore. What about Halal food delivery options? Let’s face it, Halal food isn’t a rare commodity to come by in this melting pot of a nation. 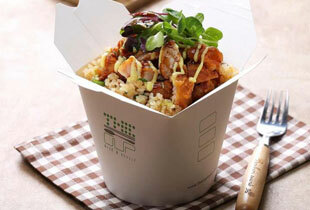 But with the ever growing food industry, innovative Halal food options are popping up like no other! An assortment of cuisines so rich in flavour profiles, with influences from all over the world, there’s just so much more to simply being permissible in the Islamic dietary laws. With the booming of these food establishments all over Singapore, the availability of Halal food delivery connects these restaurants with the consumers - you guys! From fast food restaurants which are conventionally Halal, to international cuisines from corners of the world, the whole spectrum of Halal cuisines is literally a few swipes and touches of your smartphone! Kick back and relax at the ease of wherever you’re at, the various food merchants here at ShopBack will do the rest! All these food vouchers, food delivery promo and Cashbacks, what’s the catch? There’s literally no catch. ShopBack with its horizon of food merchants offering beyond lucrative incentives to make your online food deliveries more affordable than they already are. Food promotions are hard to come by - but never with us. 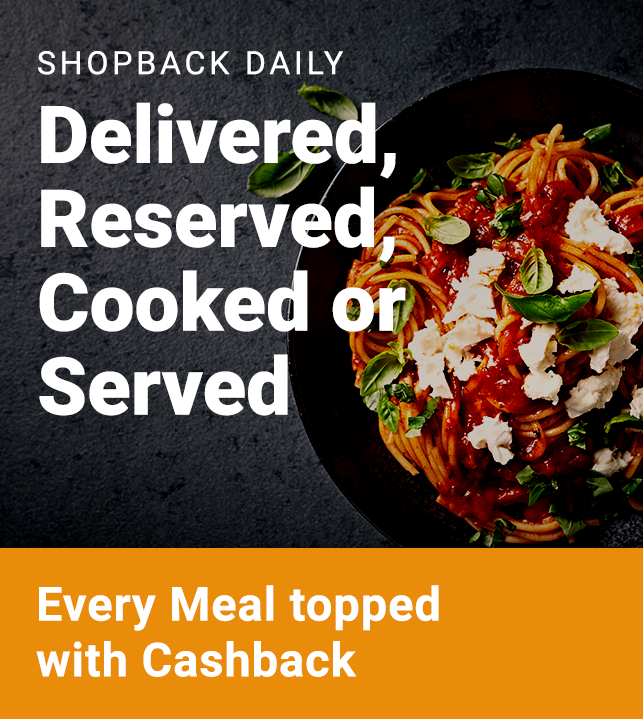 With all the biggest food delivery merchants in Singapore on Shopback, all the food vouchers Singapore has possibly got to offer can now offset your food purchases, one food promotion at a time. 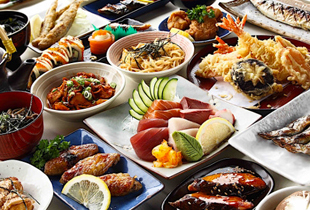 With all the food delivery Singapore has to offer, Foodpanda, Deliveroo and Honestbee are just some to name to satisfy the gastronomic foodie in you! With over 1,000 merchants to choose from, practically every aspect of your online shopping experiences can be done through ShopBack! Discounts on discounts on discounts. There’s no better way to experience e-commerce than to be astonished by the extreme discounts you see at the checkout page, all thanks to ShopBack’s very own coupon site. That’s not all to it, find out how much Cashback you’re entitled to from your purchases on your ShopBack account at the end of every purchase! You are literally getting paid to shop with us. With timely deals and seasonal promotions all year round, everyday is a great day to shop. Not seeing your favourite merchant on ShopBack? Write in today and suggest, perhaps in no time they’ll be offering attractive Cashbacks. Food merchants are the talk of the town of late, keep a tab to find out what’s the next big deal that’s coming to ShopBack and be the first to know about upsized Cashbacks across the different shopping platforms! Click through ShopBack to enjoy maximum savings for every one of your online purchases today!